Any interest in an virtual meetup? 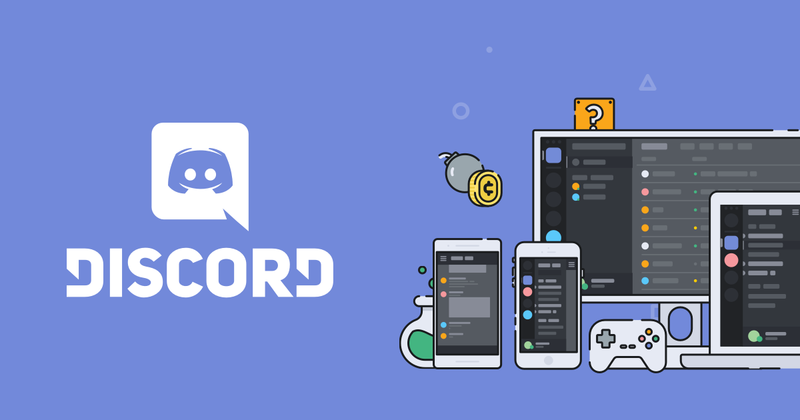 Update: Discord server is set up here. Update: Vote for times of Monday meetup here. I recently moved to a city that doesn’t seem to have any local Netrunner players. There are store championships coming up that I can get to, but no local meetups to attend on a weekly basis. I’d like to keep on playing Netrunner regularly, but don’t want to just play random people on jinteki.net. Would anyone be interested being part of a virtual Netrunner meetup? It would be just like a weekly local meetup, only we would meet online and play on jinteki.net. We’d have a scheduled day and time (which could easily change or be expanded). In order to best emulate the personal feel of a meetup, voice chat and microphone would be required. We could use Discord or something else. Have a main room to meet and chat, then pull off into a side room to play. Play a round or whatever, then head back to the main room to see if people want to swap. You could jump into other people’s rooms to listen and watch them play. As the meetup goes on, you’ll get used to talking to and playing with the same people. Discuss changes you’ve made to your decks. Ask for a rematch to last weeks whoopin’. Work together to refine a deck through the weeks up until tournaments. All the things that making going to real world meetups so great! Anyways, let me know if anyone has an interest in this sort of thing and we can try to put something together. Sounds cool… Monday nights (EST) doable? Also, condolences on moving to a Netrunner-less void of a city. There’s at least game stores around, right? If you have a laptop, see if they’ll let you chill there while doing the virtual meetup thing (with headphones…) and also keep a couple physical decks beside you so can get some exposure…? I imagine any day that works for multiple people would work! There could even be multiple days / times for different groups as necessary. I sounds cool to me! Monday evenings (EST) are best for me. I think Tuesdays are good as well. I’m not a great player, but I am capable of learning (slowly). Very interested. I could maybe make Monday work after 8pm EST. Best days are Wed/Fri/Sat/Sun. I would also like to join in, if you don’t mind an intermediate (I hope) player who might not be able to make it every week. Like all real world meetups, there would be no skill requirement to join! Even competitive players have jank decks they want to try. Heck, if you didn’t even want to play but just hang out and BS about Netrunner, that would be fine too. That’s all @SimonMoon ever does at meetups anyways. I’d say this is a thing. … Use the stimhack Discord, or should we set one up? Living in a similar netrunner-devoid location, I’d love to join in if that’s alright. Tuesdays are best for me, but I could totally join in on Mondays at around 8:00 EST if that’s what everyone else plans to do. I think a separate discord would probably be best, IMO. No one really uses the Stimhack discord as it is. This seems like an appropriate/acceptable use of it anyways so I would vote to use it rather than set up another. I’d be interested. I also have a TeamSpeak we could use. Discord doesn’t allow sub-channels, so I think we should go with a new server to keep things clean. I’ll set one up. Monday seems popular so far, so we’ll make that our first meetup. I think we should come up with specific time range. It is important that we have people that can be there when it starts so that new folk don’t show up, see nobody, and leave never to return. What about a name? Netrunner Virtual Meetup? Stimhack Virtual Meetup? Something else? It should be somewhat clear about what it is for. I’m getting pretty nit picky now. I’ll make a slack channel for detailed discussion too. I love it too, please this. It’s not really clear what this is by just reading the name, though. I think it’s clever, but you know that @Zeromus will just be forced to trash it. Our first meetup will probably be next Monday. Today was a little too close to set up something officially. Although there are a few of us in here BSing about Netrunner at the moment.